Looking for project management templates? You are here: Home / Software / Industry-Specific PM Tools: Are They Worth It? 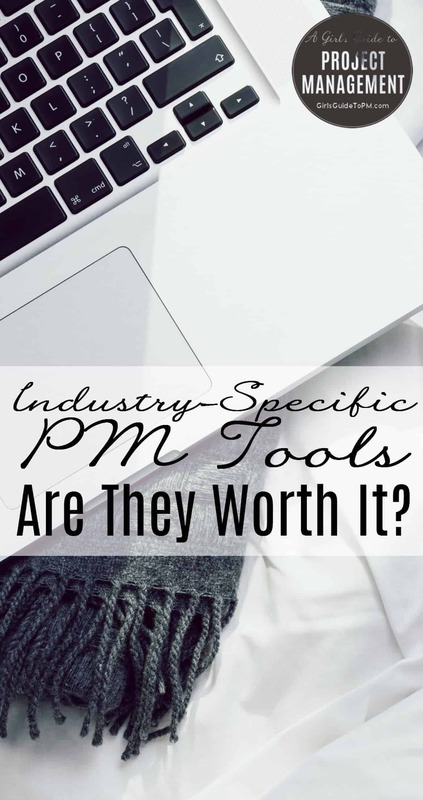 Industry-Specific PM Tools: Are They Worth It? My organisation and I are looking for project management software that is geared toward research projects or projects where training/education is the final product. I have look at some of the larger programs and they seem to be either focused on construction or IT. Would you have any thoughts on this subject that you would share? That got me thinking about industry-specific project management tools. Are there any? And why would you want to use them? Isn’t Project Management A Generic Skill? I was surprised that Bill said he had found so many that were aimed at construction and IT. I think that, for the most part, project management software should work for any end deliverable. You should be able to build a project plan to deal with whatever you want, be that a new shopping centre, a mobile app or launching a new training course. Any project will have tasks, milestones, risks, costs and so on. Whether you go for a basic tool that only offers an online To Do list or something with lots of features then you should be able to use it for your project. But…Why Not Make Things Easier? Then I came across BusiBI (on iTunes). They build project management apps for the iPad and they are really cheap. I bought the generic project management app for £3.99. There is no ongoing subscription fee, assuming you are don’t have to share with other users. (You can add other people to the team for collaboration and share projects through iTunes credits on a monthly/annual basis). But they have versions of their apps tailored for different industries. For example, the film and TV production project management app includes budgeting templates specific to that industry. The compliance and audit one comes with the ability to track the result of project reviews built in. I looked at the screenshots of the industry apps and compared them to the generic one I bought and basically they are the same underlying product. But the language is different. It’s industry terminology. While the project management app uses familiar terminology (projects, sponsors, budgets), the Legal Practice app talks about Matters, Clients and Billable Hours. The Film Production app talks about Shoot Days, Cast and Crew and Release Dates. As BusiBI is a standalone app that doesn’t require wifi to work (although it will sync when you’re ready) it’s super fast, which could be a huge benefit to project managers in industries like film and TV where time really is money. And if you often work on client sites then you don’t have to pester them for access to their IT network or rely on a terrible 3G signal to do any work. If you can find a product that gives you a built-in head start on managing projects in your industry, either through templates, language and styling or functionality, why not use it? The set up time and onboarding for your team will be faster and easier, not to mention the ongoing benefits of using something that you really feel ‘gets’ the work you do. BusiBI has a product for coaches and mentors to manage their clients and projects, but not one for academics. Having said to Bill that I didn’t think it mattered what project management software he used, I did do some research of my own into what tools are being used in his industry. There is an interesting discussion on StackExchange about tools for academics. It talks about Redmine which I have used and loved. Also mentions Basecamp (I wasn’t a fan) and Eclipse PPM, which I have heard good things about but not used. Having looked, I don’t think there are many (any) PM tools aimed specifically at researchers, but there are plenty of products out there that I don’t know about. There may well be something if you spend more time investigating it than I did. That goes for other industries as well. In my survey about the use of collaboration tools in project management, people reported using dozens of products. However, with the exception of Jira and GitHub, which I would say are aimed more at an IT user group, the other 60+ project collaboration tools in use could be beneficial to any project manager in any industry. If you are looking for an industry-specific tool and find one, that’s great. However, you should think of supportability: a niche industry tool may not be as supported as an established mainstream tool, or have the investment to develop and grow. Something like BusiBI which is offered in many ‘flavours’ or a tool with a package of templates for your industry might be better as you’re buying something that has larger reach. You’ll end up hopefully benefiting from improvements they make in other areas and apply to your version. You feel that the long term support is going to be there. Have you used a software product aimed at managing projects in a specific industry? Let me know the pros and cons in the comments! I bought my copy of BusiBI myself but this article was sponsored by BusiBI. The opinions are my own. 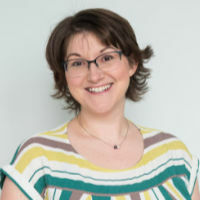 Elizabeth Harrin FAPM is a professional project manager and award-winning blogger behind A Girl's Guide To Project Management. She's passionate about demystifying project management and making tools and techniques work in the real world. She's also the author of several books including the PMI bestseller, Collaboration Tools for Project Managers. Elizabeth lives in the UK with her family. She uses her organisation and project management skills at home, and also to help other bloggers at Totally Organised Blogging. A Girl's Guide to Project Management is a blog for project, programme and portfolio managers and project delivery professionals. It's published by Otobos Consultants Ltd, a copywriting and content marketing firm that provides specialist project management materials and advice to small and medium-sized businesses. Enter your email address below to get the 3-part video workshop on project management careers delivered right to your inbox. You'll also receive weekly(ish) emails with project management tips, the occasional giveaway and more. You can unsubscribe at any time.